Check out the Citi ThankYou Preferred Card to earn 2X ThankYou Points on Dining Out and Entertainment along with 1 point per $1 on all of your other purchases with no annual fee. Just visit the standard Citi ThankYou Preferred Card offer that is available on the Citi.com website to apply for your card online. You can redeem your points for gift cards, electronics, and other rewards through the ThankYou Rewards collection. 2 ThankYou Points for every $1 you spend on purchases at restaurants and on select entertainment merchants, including sports promoters, theatrical promoters, movie theaters, amusement parks, tourist attractions, record stores, and video rental stores. 1 ThankYou Point for every $1 you spend on all other purchases. Restaurants are classified as dining establishments that primarily prepare food and drinks for immediate consumption by consumers, either on the merchant’s premises or packaged for take-out, and include bars, cocktail lounges, discotheques, nightclubs, taverns, and fast food restaurants. Sports promoters are classified as merchants that operate and promote live sporting events (professional or semi-professional), and may also include sports stadiums. Theatrical promoters are classified as merchants that operate live theatrical productions or concerts, and include ticketing agencies. Movie theaters are classified as establishments that sell tickets and refreshments for movie productions. Amusement parks (including zoos, circuses, and aquariums) are classified as establishments that operate parks or carnivals and offer mechanical rides and games and/or live animal shows. Tourist attractions and museums (including art galleries) are classified as establishments that operate attractions and exhibits for tourists. Record stores are classified as establishments that sell CDs and related items, including online record stores. Video rental stores are classified as merchants that rent DVDs and/or games and related equipment for consumer use, including online video rentals. Purchases not eligible to receive the additional ThankYou Points include, but are not limited to, purchases made at warehouse clubs, discount stores, department stores, and convenience stores. Points do not expire, and you can earn unlimited ThankYou Points. You can redeem your ThankYou Points for a variety of gift cards, including dining, entertainment, and retail. You can also redeem ThankYou Points for electronics, travel rewards, home goods, books, media, charitable donations, and cash rewards. To redeem your ThankYou Points, you can either visit thankyou.com or call 1–800–THANKYOU (1–800–842–6596). If you do not already have a ThankYou Rewards Member Account, one will be set up for you when you apply for your credit card account. 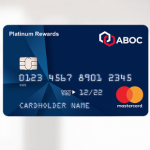 ThankYou Points earned from purchases post to your credit card account at the close of each billing cycle, and at that time they will transfer to your ThankYou Member Account. ThankYou Points are not eligible for redemption until they are transferred to your ThankYou Member Account. Citi Price Rewind – If an item you purchase with your card has its price lowered, you can get a refund for the price difference. Citi Private Pass – Get special access to event tickets and VIP packages for concerts, sports, dining, movies, and more. Citi with Apple Pay – Make payments in-app at over 200,000 stores. Damage and Theft Purchase Protection. You may also be interested in the Citi ThankYou Premier Card Promotion to earn more ThankYou Points on qualifying purchases. Take advantage of the Citi ThankYou Preferred Card from Citibank to earn ThankYou points as a new card member. I feel frustrated. I went to Citi’s website but only found the one with a reward worth $200 in gift card. Could someone explain a little bit? 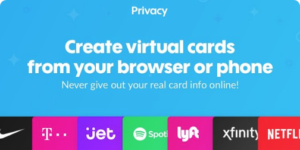 If you click on the card image or card name links in the above article, you should be directed to the $300 gift card offer. I do not see this offer being shown directly on the main Citibank website in their card selection at this time. Card issuers don’t always provide the same offers through all of their promotional channels at the same time, so even though it’s not available on their home website, they do provide it through their affiliate program, which is where I have access to it via the above links in this article. However, it is definitely available, and you can apply for it through the links in this article if you like.